Don’t know why anyone would want to switch gender so late in life. I am talking about Bruce Jenner’s decision to “come out” and announce he is now going to be a woman. (Hey Kim … Guess What?) For me it is always easier to accept something this strange when it happens at an early age in life, that to me makes sense. So Bruce is now going to be a switch hitter? That might make for a good movie, it could star Chuck Norris, Bruce Jenner, and Sly Stallone … “Fight … **** … or … Get Your Gun!” (you figure it out), watch for it, coming to a theater near you this Christmas. 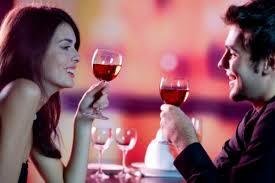 You meet “a lady” in Las Vegas, you wine her, dine her, take her out on the town. Later, it is the quickie marriage at the wedding chapel on the strip, rushing out to McClaren Airport, a late night flight to Hawaii for the honeymoon. Day after day, on the Honeymoon you stay inside the room! Devouring each other like two little teenagers under the bleachers at a High School Football game. Each morning you wake up and she is there, lying beside you, and you notice, “She always has her hand resting down there, in your middle parts, holding your … uh … firmly in her hand” … Well, you know. Good luck Bruce, don’t forget to put the seat down Honey. She’s No Lady … Crank it up and let ‘er go. This entry was posted in humor, Recent and tagged air travel, Hawaii, honeymoons, marriage, men, movie stars. Las Vegas, movies, transgender, women, wordpress.com. Bookmark the permalink. -laughs- That last line. “Don’t forget to put the seat down honey.” Classic and so fitting in this case. Why thank you. I will show your comment to my wife, I often run things by her to get her take on it and she said “that is not funny” but I left it in. Often you just have to go with the first instinct and hope it goes over well.